Linux consistently appears high up in the list of popular Internet servers, whether it's for the Web, anonymous FTP, or general services such as DNS and delivering mail. But security is the foremost concern of anyone providing such a service. Any server experiences casual probe attempts dozens of time a day, and serious break-in attempts with some frequency as well. This highly regarded book, originally titled Building Secure Servers with Linux, combines practical advice with a firm knowledge of the technical tools needed to ensure security. The book focuses on the most common use of Linux--as a hub offering services to an organization or the Internet--and shows readers how to harden their hosts against attacks. An all-inclusive resource for Linux users who wish to harden their systems, Linux Server Security covers general security such as intrusion detection and firewalling a hub, as well as key services such as DNS, the Apache Web server, mail, and secure shell. Author Michael D. Bauer, a security consultant, network architect, and lead author of the popular Paranoid Penguin column in the Linux Journal, carefully outlines the security risks, defines precautions that can minimize those risks, and offers recipes for robust security. He is joined on several chapters by administrator and developer Bill Lubanovic. A number of new security topics have been added for this edition, including: Database security, with a focus on MySQL Using OpenLDAP for authentication An introduction to email encryption The Cyrus IMAP service, a popular mail delivery agent The vsftpd FTP server Geared toward Linux users with little security expertise, the author explains security concepts and techniques in clear language, beginning with the fundamentals. Linux Server Security with Linux provides a unique balance of "big picture" principles that transcend specific software packages and version numbers, and very clear procedures on securing some of those software packages on several popular distributions. 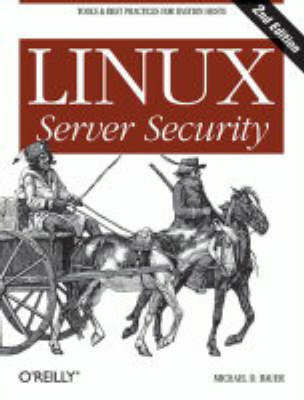 With this book in hand, you'll have both the expertise and the tools to comprehensively secure your Linux system.